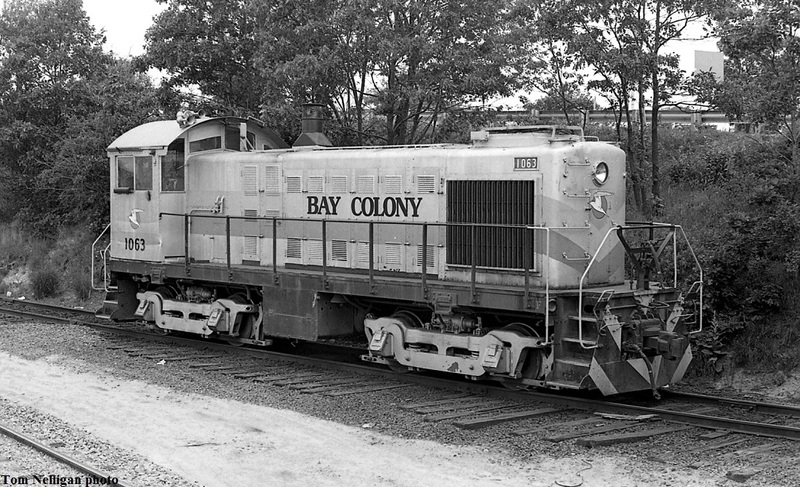 Bay Colony S4 poses outside the Buzzards Bay enginehouse. This was one of a group of four former Portland Terminal Alcos that along with an ex-MEC unit made up the core of the BCR roster at startup. Photographed by Tom Nelligan, June 30, 1984. Added to the photo archive by Tom Nelligan, August 3, 2018.